As mentioned in yesterday’s post, I began an experiment today. 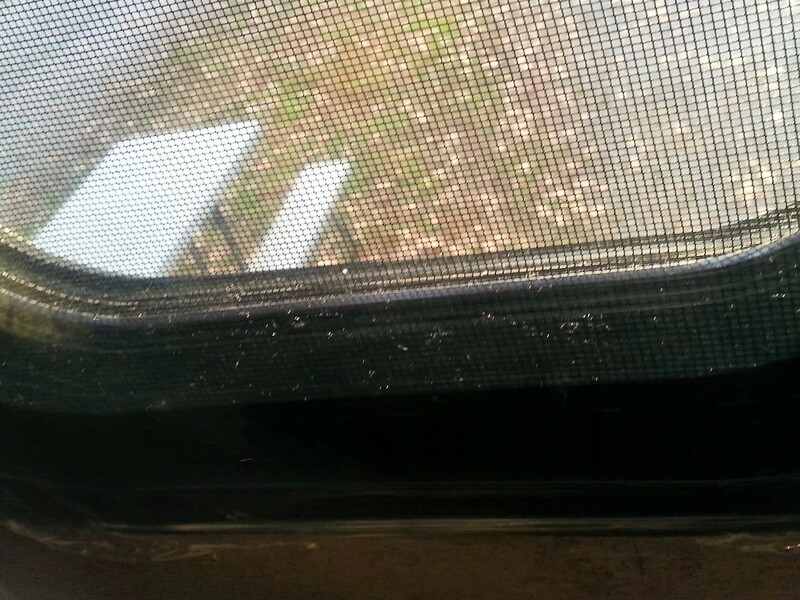 Once it was warm (it got into the mid 60s) and the windows were free of condensation after hours of being open with warm sun hitting many of them, I pulled out my window weatherization kit, and I began to attempt to find a way to cover the two side windows in the bedroom next to the bed. I had three obstacles worthy of mentioning. I was unable to remove the blinds, so I had to improvise at the top. The corners of the windows curve. I had to lay on my back to work because of the lack of space between the bed and the windows. At the moment, it seems that the tape is situated well enough to hold the plastic in place; I was concerned about gaps where I had to piece the tape to follow the curves. The plastic seems to be stretched well; however, I don’t think I need to be pulling the blinds up and down too much since the plastic is so close to them. Time will tell if it holds, blocks out drafts, and reduces condensation. 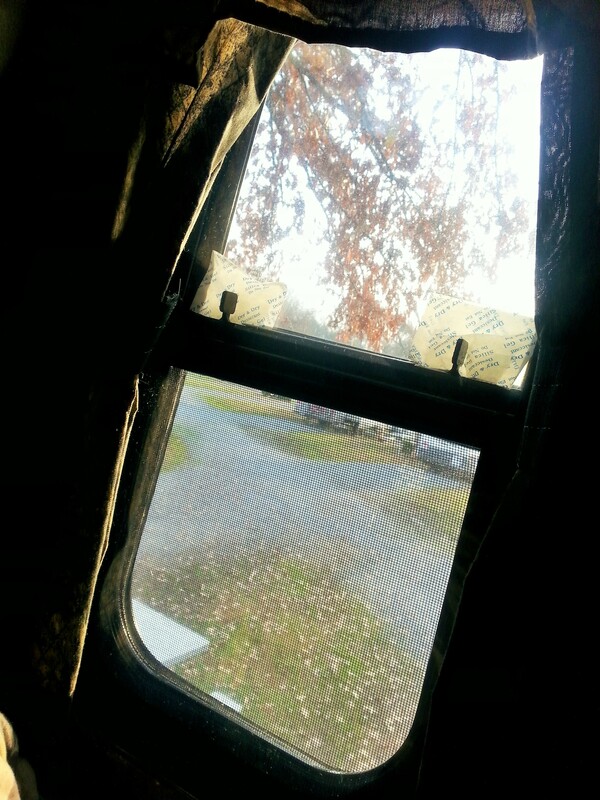 If these work well, then I’ll do other windows in the camper. Below are a couple of pictures of one of the finished windows. (Close up of the bottom to show the plastic appears to have water droplets on the plastic; it think that is dust particles that reflected.) What you see near midway down the full window are packets of silica gel packets put in to absorb moisture. Looking through the window with plastic over it. Look closely at the bottom, and you can see where I trimmed the plastic.